We were tired of flat, oversized, inaccurate (and out of production) replicas of the 1984 Tomorrowland pin. Presenting the Dreamer's Replica Pin, available now. All of the film prop pins had the protruding inlays -- they also cost the production several thousand dollars a piece to produce. (CNC machined base from solid brass and tinted resin inlays.) 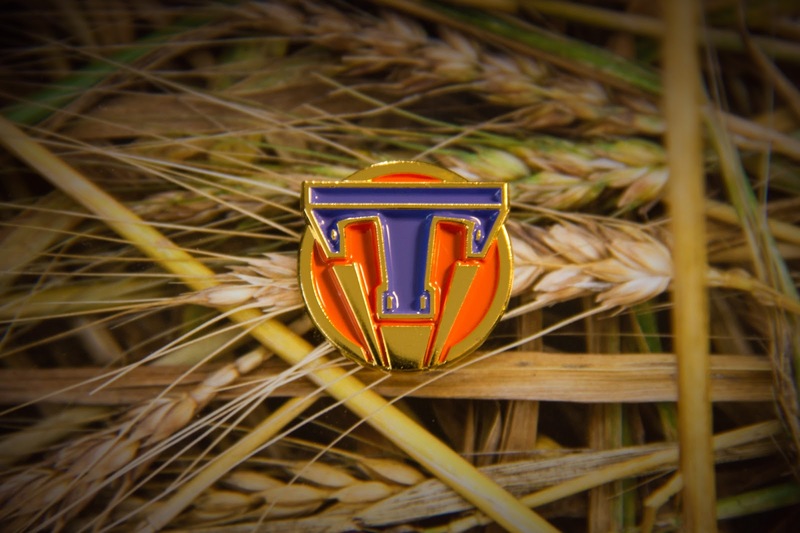 This replica is as close as we could get using traditional pin manufacturing methods. However, I'm still working on an "elite edition" that will eventually feature the convex color sections. Trying to keep it under couple hundred bucks, but it's still going to take a few more years of hobby-time development. Love the site, love your work, love the film! Keep up the good work! Not at all! I'm delighted someone cares as much as I do. By hook or by crook, I'm going to make sure an accurate prop version of this available for people over the next few years.